Many parents deny their children sugary cereals on a daily basis. Perhaps for this reason, the wide variety of cereal available in the dining halls has long been popular among the students, who are no longer under their parents’ watchful eyes. 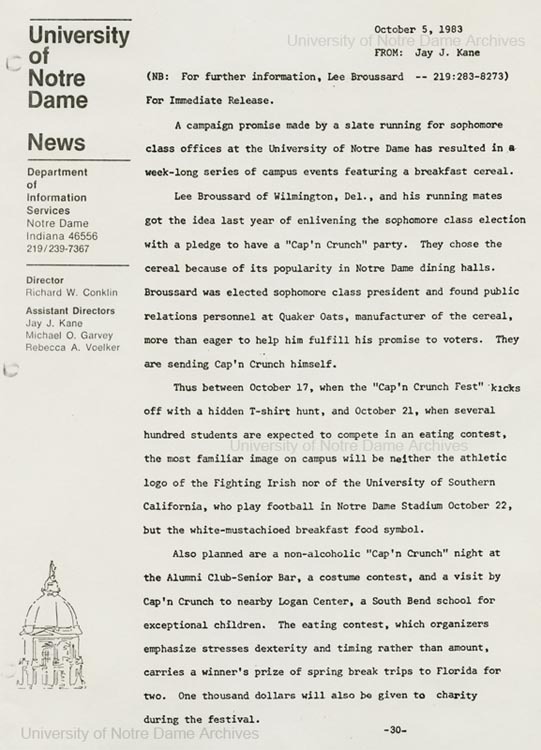 In February 1983, a couple dozen students protested the lack of Cap’n Crunch, the sugary cereal of choice, during dinner at South Dining Hall. This spurred Lee Brossard and his sophomore class running mate to make a campaign promise to hold a Cap’n Crunch party if elected. The sophomore class officers initially contacted Quaker Oats for just a few boxes of cereal for their party; however, Quaker Oats was intrigued by the idea. 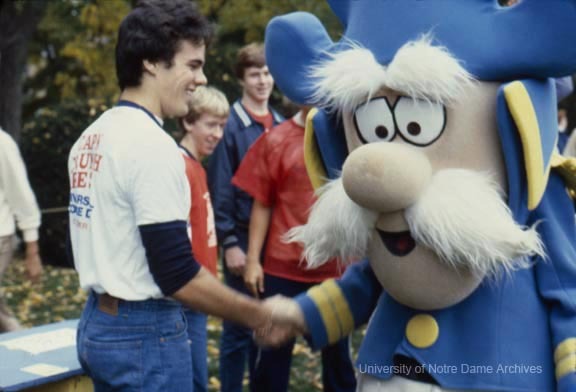 After some back and forth between Quaker Oats and the Notre Dame Administration, a week-long Cap’n Crunch festival was scheduled, which included a visit by the Cap’n himself, treasure hunts, and cereal eating contests. A student participating in the Cap’n Crunch eating contest where neatness counted, October 1983. 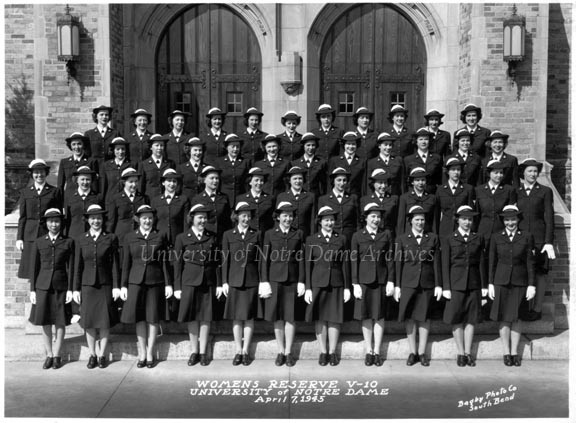 This was one of the first major corporate-sponsored events at Notre Dame. 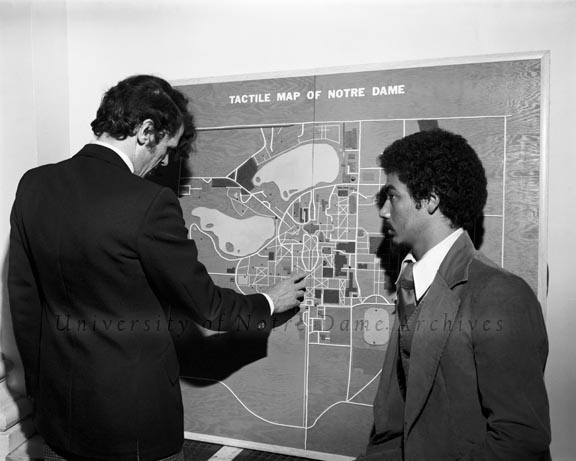 Notre Dame is often approached by corporations to hold such events and the administration often denies such attempts. Crunch Fest became a reality because the students were so enthusiastic about the idea. 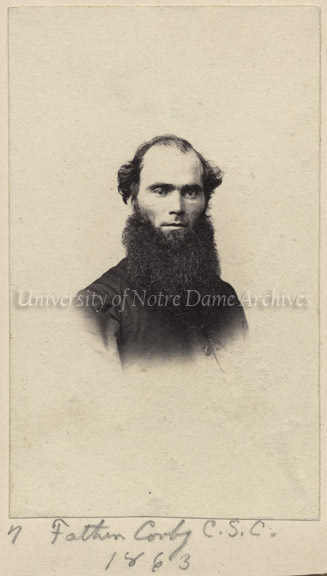 This particular event itself was reigned in a bit as Fr. John Van Wolvlear, President of Student Affairs, eliminated Quaker Oats’ original idea to have the Cap’n bid the students farewell from a boat-shaped float in the Stadium during the USC game. No events were scheduled for that Saturday home football game day, nor was the Stadium a venue for any part of Crunch Fest. Well speaking of crunches and cereals, can you believe I grew up without all these things? In my days we didn’t have anything like that and maybe because of that I never really took to cereals of any sort (with or without sugar). For the matter we never used to have fruity yoghurt either, all we had was plain, made in the village….